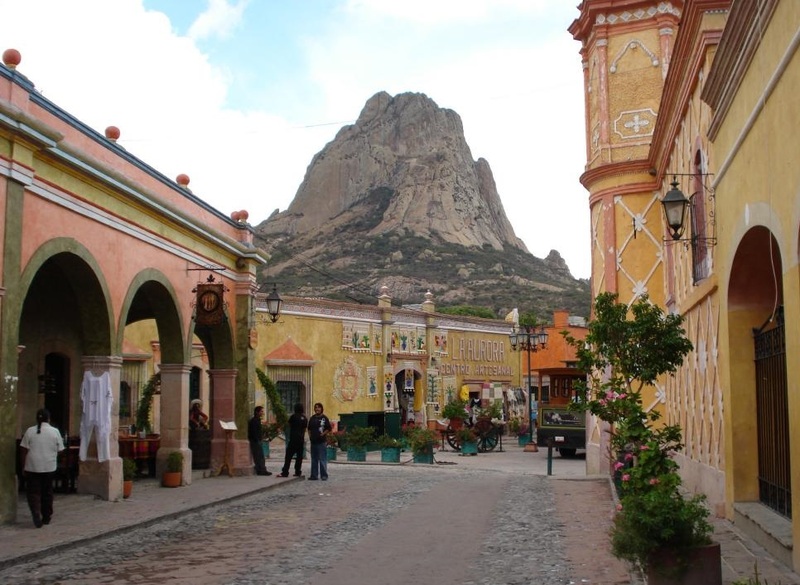 Peña de Bernal is a charming, colonial charming town that is located 40 minutes beyond the City of Querétaro. Bernal was originally a silver mining town in the 17th Century. It is known for having the third largest monolith in the world after Gibraltar and Sugar Loaf in Rio de Janeiro. Fifteen minutes from Peña de Bernal is one the most important sparkling wine producers in Mexico - Freixenet. This vinyard is known for having the deepest underground cellar in Mexico of 25 meters. We will have the opportunity to observe how they make their different kinds of wine. Tequisquiapan is a small picturesque town known for handcrafts and opals. No groups to join in October. Only private tours available any day of the week you want. Entrance fees to museums and lunch. Flexible itinerary. Make reservations in advance. The tour takes eight hours round-trip. Our van picks you up at your home. The drive from San Miguel to Peña de Bernal takes one hour and forty minutes. We would first visit Peña de Bernal. You are welcome to climb the monolith, no skills is required. After visiting the handcraft area, we would go to Freixenet to do a tour of the winery and a wine tasting. We would lunch in Tequisquiapan, leave from there after lunch and arrive in San Miguel at 4:00pm.